At Nadargul Airfield – this hanger on an area of 6000sft appx. is utilized for housing the flying training aircraft fleet.The airfield also houses the HS 125,DC 3 and Beech Baron B 58 aircraft. 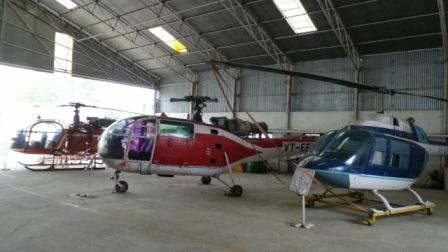 Opposite Nadargul airfield – This hangar is on an area of 10000 sqft apprx housing the helicopters and Cessna aircraft utilized for engineering training and demonstration. 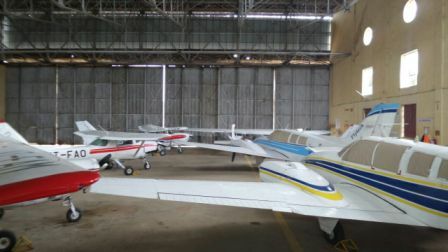 At Nagarjun sagar Airstrip- Flytech has refurbished the airfield with No.5 Bay Hangar facility, hydraulically operated, 12500 sqft area.